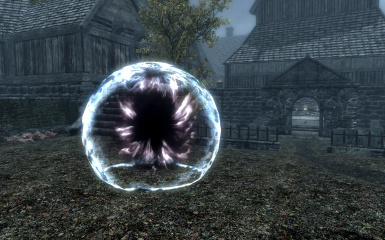 Exactly like what is written in the small description, this mod introduces the Mark & Recall spells from Morrowind to Skyrim in the form of spelltomes & scrolls that you can buy from the court wizards & conjuration spell vendors throughout Skyrim. These spells will summon a mark & a recall portal respectively on wherever you stand that you can travel from/to at any time quite like what you can see here in the video. - Teleport back & forth from Mark to Recall portal or vice versa as many times as you want. 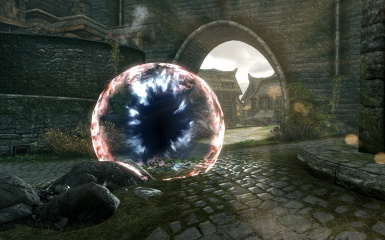 - Opening & closing portal animation with related sound effects. 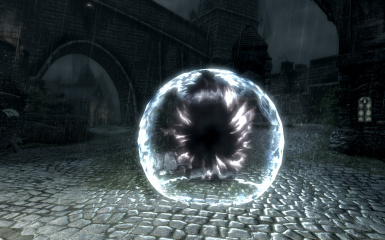 - Custom sound effect for portal idle. - Custom textures for Mark & Recall portal for easy differentiation. - Vendors list: Madena, Calcelmo, Wylandriah, Sybille Stentor, Farengar Secret-Fire, Wuunferth The Unliving, Phinis Gestor & Falion. - To buy the scrolls or the spelltomes, you need to talk to the vendor twice. Talk -> Buy -> No Item -> Talk Again -> Buy -> The Item Appears. This is due to the way I add the item through scripting so there will be no conflict with other mods that add items to these vendors as well. Do tell me if there's a better way. - Finally this mod is at least viable enough for release. As simple as this mod sound, it is actually quite hard & time consuming to create. Made me appreciate even more of what other modders have created so far. - Added both Mark & Recall Portal map markers so you can track their locations using quest journal (J key) -> Miscellaneous section. - Fix the carry weight issue. - Added an optional file: an experimental version with no time passage between teleportation. This will not work properly with companions. 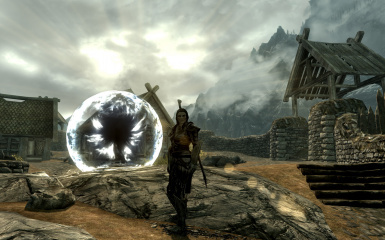 - Sometimes the portal animation skips a bit. 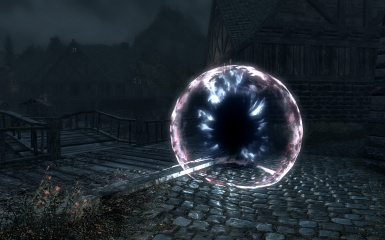 This is normal & will not affect how the portal work. Bethesda for some of the mesh & texture assets.